Just click here at the green arrow to get the advertisement free banner in an email. Since last weekend the Premium Area is closed. 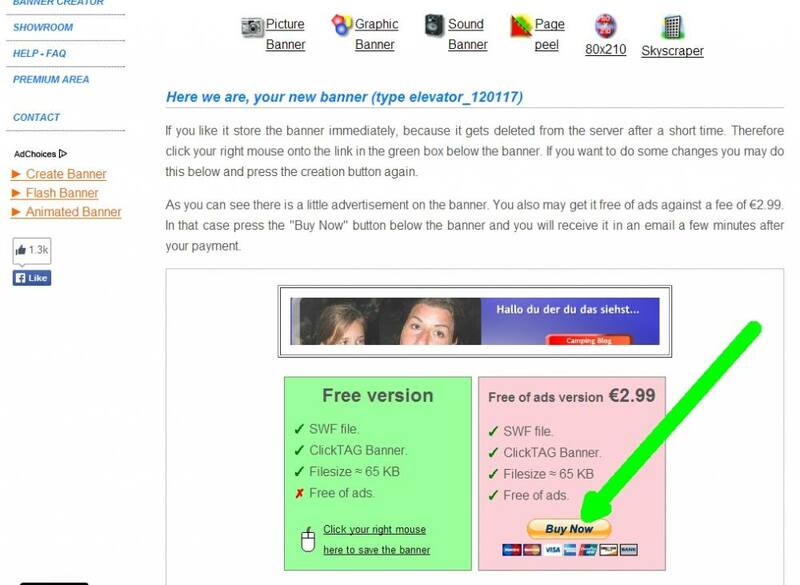 But don�t worry; you can have the premium banners anyway: As you know, you can save all banners in the free area with the right-click link below the resulting banners. Beside that link you�ll find another link which you can use to order the premium version of your banner. Just click that link, do the Paypal payment and you�ll receive the banner a few minutes later in an email. I think that way is much more comfortable and avoids doing work twice as it was with the Premium Area. I think the Premium Area was the better way!